Your experience with World Class Kitchens begins with a visit to our Matawan, NJ showroom where you will meet with our extraordinary design team. 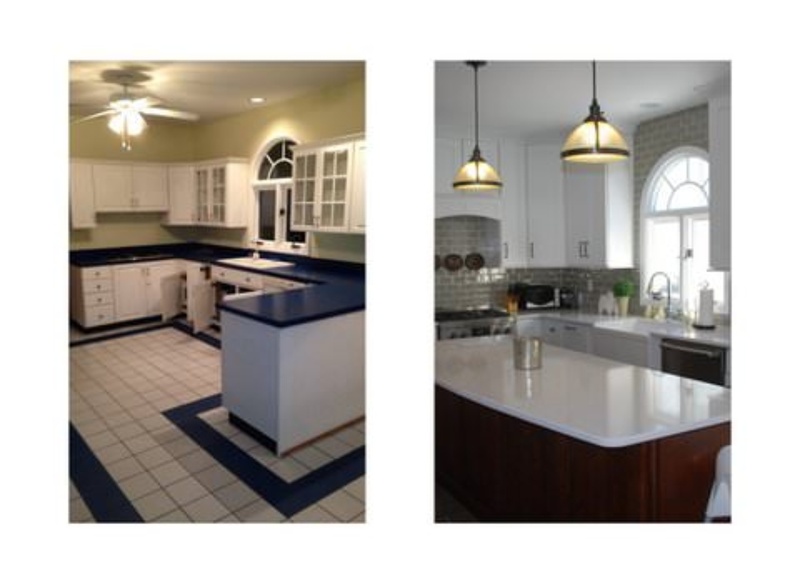 Our team of experts will guide you through a variety of materials, cabinets, appliances, counters, colors, and accessories. We will then apply all your choices into a tangible design for your approval. The excellence of our team and the close interaction with our clients is what ensures that the final design will exceed all your expectations. Every jurisdiction has different kitchen remodeling permit requirements. Our technical experts will immediately convert your kitchen renovation design into official construction documents and submit them for construction permit approval. Renovation can be hazardous, especially around children. Throughout the renovation, wires, nails, and flooring can be exposed, all of which is potentially harmful. To maintain a safe working environment, barriers and floor protection will most likely be installed. We ask that your family remove yourself from the area while renovations are taking place. If necessary, all the water, gas and electrical lines going to existing sinks, ranges, receptacles and lights will be disconnected. Furthermore, all the existing kitchen cabinets, appliances, countertops, lights, and flooring need to be removed. It is critical to observe safety precautions so during this time, no one but the World Class Kitchens team should be in the designated area. Up to this point, all work has been completed by general craftsmen. Moving forward, the World Class Kitchens team will work with trade contractors. These electricians, plumbers, and HVAC mechanics will secure the wires, cables, and pipes to their final location once the wall is replaced. Our design team will likely inspect the work to ensure that all the work is in line with kitchen design that was originally drawn up. Once work is completed, a building inspector will be brought in to confirm all renovations are being done to the building code and to issue close-in stickers so the project can be completed. Our team will now insulate and drywall any open walls and lay down flooring. Upon completion any base cabinets, countertops, wall cabinets, appliances, and accessories can be installed. After the kitchen renovation is complete, our team will reveal your new kitchen and guide you through any special care instructions. Final inspection is completed and it’s time to enjoy your new kitchen!